Rey is the quickest of wrestlers in the WWE universe and is a high flyer, which is the reason for burpee ring muscle-ups and box jump overs. The side planks are tribute to his finisher, the 619. 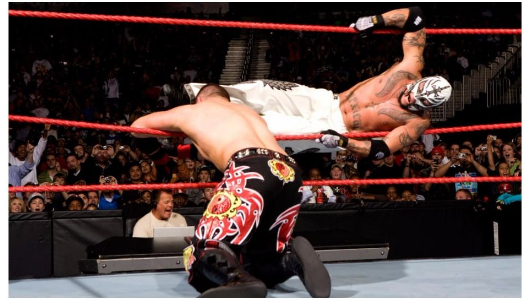 His finisher pictured above, the 619, is an homage to San Diego, home for Rey Mysterio. 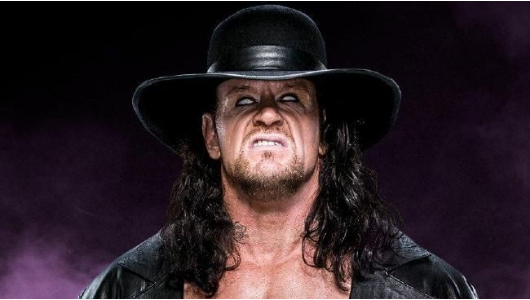 He is regarded as the greatest Cruiserweight in pro-wrestling history. We’re going to have some time between now and when the AO Series 2 programming starts (May 5th), so we’ll be spending it refining technique and working complexes. Use this as an opportunity to stay active so you’re not losing any of the gains you’ve made. Single Leg Squat w/rear foot elevated on bench, box, or similar. *after each round, perform 1 walking toe touch per leg. A longer workout since HBK always goes the distance. As evident from his picture below, his signature pose is resemblant of the cossack squat. 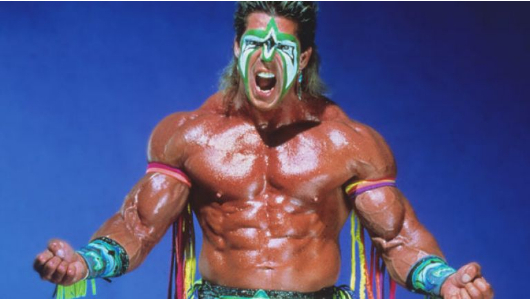 Muscle-ups for his patented kip-up, deadlifts because he broke his back in the middle of his career, and box jump overs because HBK was a high-flying risk taker. 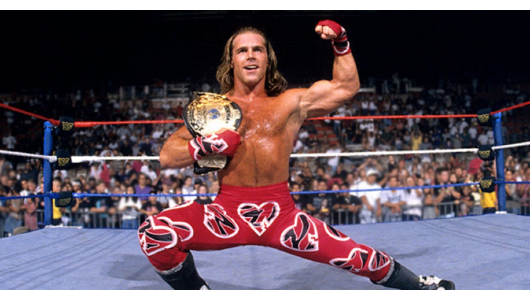 Shawn Michaels was the first Grand Slam Champion in WWE history, meaning he was the first to win each of WWE’s titles. Michaels is considered one of the greatest wrestlers in history, receiving 15 Match of the Year awards. 13 minutes for his 13 championships. A heavy power clean and jerk for his classic body slam. Bar facing burpees are like running the ropes from side to side. Curls because how could you not have curls for Hulk Hogan?! He is world reknown for his pythons and love of curls. Pistols because it most closely resembles his finishing maneuver, the Leg Drop. 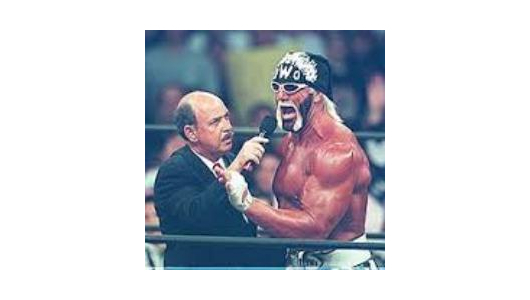 The most famous of all professional wrestlers, Hogan is a 13-time world champion and known for the most monumental heel turn (becoming a bad guy) of all-time. 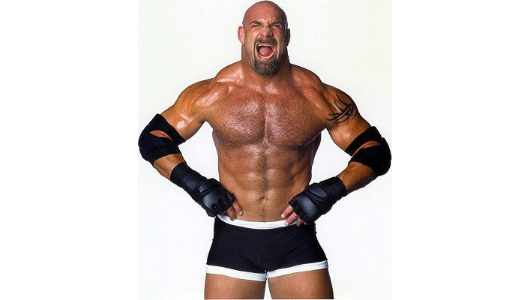 This was his nWo heel days. You must make every lift (all 40) for it to be Rx or Rx+. Choose weight carefully as this should be heavy, but not to the point where technique becomes errant. Beginners should scale weight to a moderate load and perform 2-3 reps on the minute, resting as needed to ensure proper mechanics. This is for ALL levels! We will break down the skills, positions, and progressions needed to complete a muscle-up. Please finalize your gameplan with me if you are competing! Time to test your Vertical Jump. We will be checking your Vertical and Broad Jumps during the warm-up after the 800m run, one person at a time. Start the first 2 @ 70%, before diving into the next 5 as all-out runs. 3 strike policy in effect.